When the Tennessee Board of Law Examiners released results for the July 2018 Tennessee Bar Exam today, Belmont University College of Law earned the top spot for first time test takers at ABA accredited schools. A remarkable 94.5 percent, or 69 out of 73 recent graduates, earned a passing score on the exam which is the highest the College has earned in its history. The state average for ABA approved schools for first time test takers for the July 2018 test date is 76.85 percent compared with the Belmont Law pass rate of 94.5 percent. Belmont University College of Law provides challenging academics, a service-minded approach, real-world experience and community leadership in a student-centered environment. 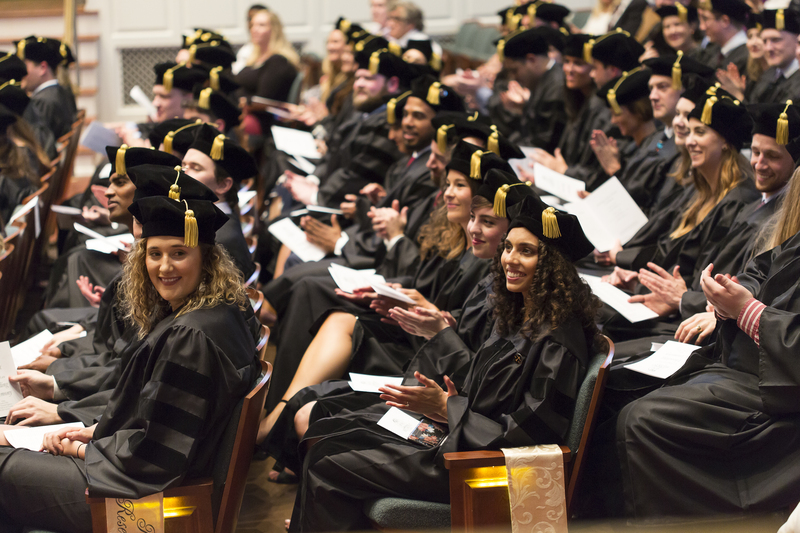 Belmont Law graduates are practice-ready attorneys, empowered by their education and co-curricular experiences to provide legal counsel with commitment to high standards, expertise and ethics.